My son and I recently updated the farm website, www.bonavistafarm.com. 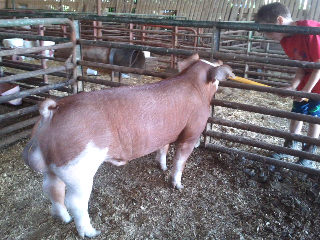 He snapped this photo of our Hereford boar named Test of Time. If you're in the market for some boar sem3n, let me know. Husband will be happy to sell you a little plastic bottle of swimmers.